Steve Johnston has spent his entire business career helping people unlock and ignite their human potential in order to realize their dreams. From emotionally disturbed teenagers, many physically and mentally beaten by their parents, or highly exceptional students misunderstood and estranged from their parents and teachers, to business men and women who found themselves in unchallenging dead end jobs or working for managers or companies who seemed to only care about the bottom line, Steve has tried to present a different view point …of what COULD BE. The past twenty-five years of being an educator, a facilitator, a manager, a creative thinker, a corporate officer, and yes, a student have shaped his approach to life. He believes that people who are able to focus on their strengths and their connectedness to others will find infinite possibilities in their lives. Steve earned a B.S. in Natural Resources from The Ohio State University and a M.Ed. from the University of Cincinnati. Steve has completed many certification programs including Blessing Whites’ Managing Personal Growth, Helping Others Succeed, and Peer Coaching and is a fully certified and accredited trainer of the Bud to Boss workshops. 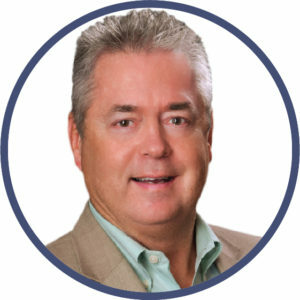 Steve is active in local and national ASTD and SHRM and is an ambassador for the West Chester Chamber Alliance. Steve and his wife Tracy have 2 young adults in college, and a beagle mix named LD (lost dog) who chose to live with them 3 years ago.